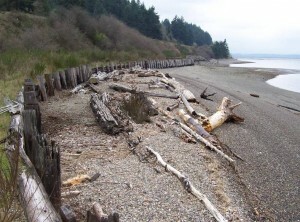 The WRIA 11 and 12 Nearshore Habitat Assessment and Restoration Design Project assessed the condition of the habitat along a small segment of shoreline in the southern Puget Sound region. SPSSEG inventoried habitat from the Nisqually Delta north to Point Defiance to identify meaningful restoration opportunities and develop a restoration plan specific to this nearshore reach. 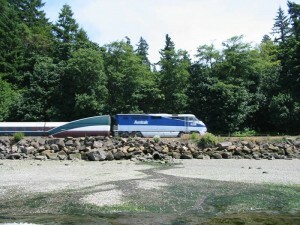 In addition to identifying restoration projects that will have the greatest long-term benefit to salmon within this reach, the WRIA 11/12 Nearshore Assessment fills in data gaps between previously assessed areas adjacent to the project reach.The Thurston County assessment covered Thurston County to the Nisqually River and the Pierce County Nearshore Habitat Assessment covered Anderson and Fox Islands, as well as the Gig Harbor area. Where possible, this assessment was designed consistent with these adjacent assessments, and gained consistency with other assessments in Puget Sound by following the Puget Sound Partnership’s guidance for nearshore assessments (PSNERP 2002).